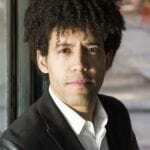 33-year-old Venezuelan conductor Rafael Payare is named as the next Chief Conductor of the Ulster Orchestra. This announcement comes at an exciting time for Payare. Having already made debuts with, amongst others, the Rotterdam Philharmonic, Cincinnati Symphony and Oslo and Royal Stockholm Philharmonic orchestras, future invitations include the London Symphony Orchestra, City of Birmingham Symphony Orchestra and the Munich Philharmonic. He made his debut with the Ulster Orchestra in October 2013. We wish Rafael and the Ulster Orchestra all the best ahead of their journey together. Please click here for the official press release.